It was repor­ted in The Guard­i­an news­pa­per today that the UK par­lia­ment­ary joint com­mit­tee on human rights was ques­tion­ing the leg­al frame­work under­pin­ning the use of Brit­ish drone strikes against ter­ror­ist sus­pects. The (Il)legalitiy of UK drone strikes? from Annie Machon on Vimeo. As the old media pro­pa­ganda battle inev­it­ably heats up around the Edward Snowden case, I stumbled across this little Amer­ic­an news gem recently. The premise being that poten­tial whis­tleblowers are now deemed to be the new “insider threat”. Well, the US spooks and their friends have already had a pretty good run through the “reds under the bed” of McCarthy­ism, polit­ic­al sub­vers­ives, illeg­als, Muslims and “domest­ic extrem­ists”, whatever the hell that really means leg­ally. Now they’ve hit on anoth­er threat­en­ing cat­egory to jus­ti­fy yet fur­ther sur­veil­lance crack­downs. What’s in a name.…. Firstly, this is old news resur­rec­ted in the wake of the Edward Snowden dis­clos­ures to scare people anew. Way back in 2008 the US gov­ern­ment wrote a report about “insider threats” and the per­ceived danger of the high-tech pub­lish­er Wikileaks and, in early 2010 the report was leaked to the very same organ­isa­tion. In 2008 the US gov­ern­ment strategy was to expose a Wikileaks source so that oth­ers would be deterred from using the con­duit in future. Well that didn’t hap­pen — Wikileaks tech­no­lo­gic­ally out­paced the lum­ber­ing, bru­tish might of the US and syco­phant­ic West­ern intel­li­gence agen­cies. The unfor­tu­nate Brad­ley Man­ning was exposed by an FBI snitch, Adri­an Lamo, rather than from any tech­nic­al fail­ure of the Wikileaks sub­mis­sion sys­tem. What did occur was a mus­cu­lar dis­play of glob­al cor­por­at­ism, with nation after nation capit­u­lat­ing to take down the Wikileaks site, but mir­ror sites sur­vived that poin­ted to Switzer­land (which has a strong tra­di­tion of dir­ect demo­cracy, self defence and free speech and which remains stead­fastly inde­pend­ent from inter­na­tion­al dip­lo­mat­ic circle jerks the UN, NATO, and such like. On top of that, all major fin­an­cial chan­nels stopped dona­tions to Wikileaks — an act now been deemed to be mani­festly illeg­al in some coun­tries. Now, in the wake of the Man­ning and Snowden dis­clos­ures, the US main­stream media appears, inev­it­ably, to be try­ing to con­flate the cases of known trait­ors with, you’ve guessed it, bona fide whis­tleblowers. Cases such as Ald­rich Ames and Robert Hanssen, who betrayed their coun­tries by selling secrets to an enemy power — the Soviet Uni­on — in an era of exist­en­tial threat. They were trait­ors to be pro­sec­uted under the US Espi­on­age Act (1917) — that is what it was designed for. This has noth­ing what­so­ever to do with the cur­rent whis­tleblower cases and is just so much basic neuro-lin­guist­ic pro­gram­ming. *Yawn*. Do people really fall for that these days? This is a tired old tac­tic much used and abused in the offi­cially secret UK, and the USA has learned well from its former colo­ni­al mas­ter — so much for 1776 and the con­sti­tu­tion. How­ever, in the CBS inter­view men­tioned above it was subtly done — at least for a US broad­cast — with the com­ment­at­or sound­ing reas­on­able but with the imagery telling a very dif­fer­ent story. In my view this con­fla­tion exposes a dark hypo­crisy at the heart of the mod­ern mil­it­ary-secur­ity com­plex. In the old days the “good­ies” and “bad­dies” were simplist­ic­ally demarc­ated in the minds of the pub­lic: free West good; total­it­ari­an East bad. This fol­lowed the main­stream pro­pa­ganda of the day, and those who worked for the oppos­i­tion — and the Soviet Uni­on gave the US/UK intel­li­gence axis a good run for its money — were pro­sec­uted as trait­ors. Unless, of course, they emerged from the rul­ing class, when they were allowed to slip away and evade justice. And of course many of us remem­ber the scan­dal of the Rus­si­an spy ring that was exposed in 2010 — many indi­vidu­als who had illeg­ally been infilt­rated into the US for dec­ades. Yet, when they were caught and exposed, what happened? A deal was struck between the US and Rus­sia and they were just sent home. No such lib­er­al­ity is shown to true mod­ern-day whis­tleblowers. Quite the oppos­ite, with the UK and the US will­ing to breach all estab­lished dip­lo­mat­ic pro­to­cols to hunt down their quarry. This des­pite the fact that the whis­tleblowers are lib­er­at­ing inform­a­tion about the illeg­al­ity of our own gov­ern­ments to empower all of us to act as informed cit­izens, and des­pite the fact that they are expos­ing glob­al-level crimes. Brad­ley Man­ning and Edward Snowden have risked their lives to expose the fact that we are liv­ing under a glob­al police state and that our mil­it­ary and intel­li­gence agen­cies are run­ning amok across the plan­et, with CIA kill lists, rendi­tions, tor­ture, wars, drone strikes and dirty tricks. Yet the West is not offi­cially at war, nor is it facing an exist­en­tial threat as it did dur­ing the Second World War or the so-called Cold War. Des­pite this, the US has used the Espi­on­age Act (1917) more times in the last 5 years than over the pre­ced­ing cen­tury. Is it sud­denly infes­ted with spies? Well, no. But it is sud­denly full of a new digit­al gen­er­a­tion, which has grown up with the assump­tion that the inter­net is free, and which wants to guar­an­tee that it will remain free without Big Broth­er watch­ing over their shoulders. Tal­en­ted indi­vidu­als who end up work­ing for the spy agen­cies will inev­it­ably be per­turbed by pro­grammes such as PRISM and TEMPORA. Law­yers, act­iv­ists and geeks have been warn­ing about this for the last two dec­ades. By 1911 the UK had already put in place not only the proto-MI5, but also then added the first Offi­cial Secrets Act (OSA) to pro­sec­ute real trait­ors ahead of the First World War. The UK updated the OSA in 1989 spe­cific­ally to sup­press whis­tleblow­ing. The US has learned these leg­al sup­pres­sion les­sons well, not least by shred­ding its con­sti­tu­tion with the Pat­ri­ot Act. How­ever, it has neg­lected to update its law against whis­tleblowers, fall­ing back instead onto the hoary old 1917 Espi­on­age Act — as I said before, more times in the past five years than over the last cen­tury. This is indeed a war on whis­tleblowers and truth-tell­ers, noth­ing more, noth­ing less. What are they so afraid of? Ideal­ists who believe in the old demo­crat­ic con­sti­tu­tions? The Uni­ver­sal Declar­a­tion of Human Rights and oth­er such fuddy-duddy con­cepts? Or could the real enemy be the bene­fi­ciar­ies of the whis­tleblowers? When the US gov­ern­ment says that Man­ning or Snowden have aided the enemy, do they, could they, mean we the people? The answer to that would logic­ally be a resound­ing “yes”. Which leads to anoth­er ques­tion: what about the nation states — China, Rus­sia, Iran — that we have been told repeatedly over the last few years are hack­ing and spy­ing on us? The phrase “pot and kettle” springs to mind. There are no good­ies and bad­dies any more. Indeed, all that remains is out­right and shock­ing hypo­crisy. Snowden has laid bare the fact that the US and its vas­sals are the most flag­rant prot­ag­on­ists in this cyber­war, even as our gov­ern­ments tell us that we must give up basic human rights such as pri­vacy, to pro­tect us from the glob­al threat of ter­ror­ism (while at the same time arm­ing and fund­ing our so-called ter­ror­ist enemies). Yet whis­tleblowers who bravely step up and tell us our gov­ern­ments are com­mit­ting war crimes, that we are being spied on, that we live under Orwellian sur­veil­lance, are now the people being pro­sec­uted for espi­on­age, not the “real” spies and cer­tainly not the war crim­in­als. Er, per­haps someone who does not want to col­lude in the most stark examples of glob­al war crimes and illeg­al sur­veil­lance? And per­haps someone who believes that the Uni­ver­sal Declar­a­tion of Human Rights was set up for a reas­on after the hor­rors of the Second World War? When the rule of law breaks down, who is the real crim­in­al? What we are wit­ness­ing is a gen­er­a­tion­al clash, not a clash of ideo­lo­gies. The old­sters still be believe in the Cold War nar­rat­ive (or even “cow­boys and Indi­ans”?) of good­ies, bad­dies and exist­en­tial threats. The digit­al gen­er­a­tions have grown up in the wake of 9/11 and all the asso­ci­ated gov­ern­ment­al over-reac­tion — war crimes go unre­por­ted and untried, real civil liber­ties are an his­tor­ic arte­fact, and the glob­al pop­u­la­tion lives under Big Broth­er sur­veil­lance. Why on earth is any­one, really, sur­prised when young people of hon­our and ideal­ism try to take a stand and make a dif­fer­ence? We should be more wor­ried about our future if the whis­tleblowers were to stop com­ing for­ward. The bru­tal murder in Wool­wich last week of Drum­mer Lee Rigby rightly caused shock and out­rage. Inev­it­ably there has been a media feed­ing frenzy about “ter­ror­ist” attacks and home-grown rad­ic­al­isa­tion. 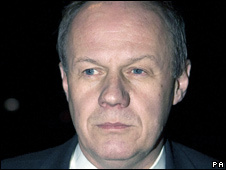 Brit­ish Prime Min­is­ter, Dav­id Camer­on, felt it neces­sary to fly back from a key meet­ing in France to head up the Brit­ish secur­ity response. One slightly heart­en­ing piece of news to emerge from all the hor­ror is that the PM has stated, at least for now, that there will be no knee-jerk secur­ity crack-down in the wake of this killing. Sure, secur­ity meas­ures have been ramped up around mil­it­ary bases in the UK, but cyn­ic­al calls from the securo­crats to rean­im­ate a pro­posed “snoop­ers’ charter”, aka the draft Com­mu­nic­a­tions Data Bill, have for now been dis­coun­ted. And rightly so — MI5 already has all the neces­sary powers to mon­it­or sus­pects. How­ever, there does still seem to be a polit­ic­ally disin­genu­ous view about the motiv­a­tion behind this murder. Yet the sus­pects them­selves made no secret of it — indeed they stayed at the scene of the crime for twenty minutes appar­ently encour­aging pho­tos and smart phone record­ings in order to get across their mes­sage. When the police armed response team finally arrived, the sus­pects reportedly charged at the police bran­dish­ing knives and pos­sibly a gun. They were shot, but not fatally. This may have been attemp­ted “sui­cide by cop” — delayed until they had said their piece. This does not strike me as the actions of “crazed killers” as has been repor­ted in the media; rather it reminds me of the cold and cal­cu­lated actions of Nor­we­gi­an mass mur­der­er, Anders Breivik. The Wool­wich murder was designed to max­im­ize the impact of the mes­sage in this social media age. And the mes­sage being? Well, it was indeed cap­tured on smart phone and sent out to the world. The killers clearly stated that this was a polit­ic­al action designed to high­light the grue­some viol­ence daily meted out across North Africa, the Middle East, and Cent­ral Asia as a res­ult of the west­ern policy of mil­it­ary inter­ven­tion­ism. This mani­fests in a vari­ety of ways: viol­ent res­ist­ance and insur­gency against pup­pet gov­ern­ments as we see in Iraq; interne­cine civil war in coun­tries such as post-NATO inter­ven­tion Libya; cov­ert wars fought by west­ern prox­ies, as we see in Syr­ia; or overt attacks in Yemen, Somalia, Afgh­anistan and Pakistan, where US and UK con­trolled drones tar­get mil­it­ants named for assas­sin­a­tion on pres­id­en­tially-approved CIA kill lists with the res­ult­ing col­lat­er­al murder of com­munity gath­er­ings, chil­dren and wed­ding parties. All this does not jus­ti­fy the appalling murder in Wool­wich, and the per­pet­rat­ors must face justice for the crime. How­ever, it does go some way to explain­ing why such an atro­city occurred, and we as a soci­ety need to face up to the facts or this will hap­pen again. Say­ing this does not make me an apo­lo­gist for ter­ror­ism, any more than it did journ­al­ist Glenn Gre­en­wald — a writer who has had the journ­al­ist­ic attack dogs unleashed on him for sim­il­ar views. Bey­ond the group-think deni­al­ism with­in the Wash­ing­ton Belt­way and the West­min­ster Vil­lage, the cause and effect are now widely-recog­nised. Indeed, in her 2010 testi­mony to the Chil­cot Inquiry about the Iraq War, former head of MI5 Eliza Man­ning­ham-Buller said pre­cisely the same thing — and I don’t think any­one would dare to label her “an apo­lo­gist for ter­ror­ism”. The seed of Islam­ic extrem­ism was planted by west­ern colo­ni­al­ism, propag­ated by the 1953 CIA and MI6 coup against Pres­id­ent Mossade­gh of Iran, watered by their sup­port for a fledging Al Qaeda in the 1980s Afghan res­ist­ance to the Soviet inva­sion, and is now flour­ish­ing as a means both of viol­ently attempt­ing to eject west­ern occupy­ing forces from Muslim coun­tries and gain­ing retri­bu­tion against the West. We need to face up to this new real­ity. The bru­tal murder of this sol­dier may be a one-off attack, but I doubt it. Indeed, sim­il­ar attacks against French sol­diers in Toulouse occurred last year, and this week­end there has already been what appears to be a copy-cat attack against a sol­dier in Par­is. In this endem­ic sur­veil­lance soci­ety ter­ror­ist groups are all too aware of the vul­ner­ab­il­it­ies inher­ent in large-scale, co-ordin­ated attacks, the plan­ning of which can be picked up by sigint or from inter­net “chat­ter”. Much sim­pler to go for the low-tech atro­city and cyn­ic­ally play the all-per­vas­ive social media angle for max­im­um cov­er­age. The UK media has repor­ted that the Wool­wich sus­pects have been on the Brit­ish intel­li­gence radar for the last 8 years, but MI5 failed to take prompt action. The inev­it­able gov­ern­ment enquiry has been prom­ised, but the fall-back defens­ive pos­i­tion, already being trot­ted out by former spies and ter­ror­ism experts across the media is that the secur­ity ser­vices are nev­er going to be in a pos­i­tion to accur­ately pre­dict when every rad­ic­al­ised per­son might “flip” into viol­ence and that such “lone wolf” attacks are the most dif­fi­cult to stop. As more news emerges, this is look­ing increas­ingly disin­genu­ous. Reports have emerged that one of the sus­pects, Michael Ade­bolajo, was approached to work as an agent for MI5 half a year ago, appar­ently after he had been arres­ted and assaul­ted by police in Kenya. This may be anoth­er example of the secur­ity ser­vices’ failed Pre­vent ini­ti­at­ive that seems to be caus­ing more harm that good with­in the young Brit­ish Muslim com­munity. This story has been com­poun­ded by the recent intriguing arrest of one of Adebolajo’s friends, the self-styled Abu Nusay­bah, imme­di­ately after he had fin­ished record­ing an inter­view about this for the BBC’s News­night pro­gramme. The Met­ro­pol­it­an Police Counter-Ter­ror­ism Com­mand swooped at the Beeb and arres­ted the man on ter­ror­ism charges: he has now dis­ap­peared into the maw of the leg­al sys­tem. The only long-term and poten­tially effect­ive solu­tion is to address the fun­da­ment­al issues that lead to Islam­ic viol­ence and ter­ror­ism and begin nego­ti­ations. The UK, at least, has been through this pro­cess before dur­ing the 1990s, when it was attempt­ing to resolve the civil war in North­ern Ire­land. Indeed my former boss, Eliza Man­ning­ham-Buller, stated as much dur­ing a BBC lec­ture in 2011, say­ing that the US and UK gov­ern­ments need to nego­ti­ate with Al Qaeda to reach a polit­ic­al set­tle­ment. Over the last 20 years, Al Qaeda has con­sist­ently deman­ded the remov­al of the west­ern (pre­dom­in­antly US) mil­it­ary pres­ence from the Middle East. Since the 9/11 attacks our polit­ic­al elites and media have equally con­sist­ently spun us the line that Al Qaeda car­ries out attacks because it “hates our way of life, hates our freedoms”. Unless our gov­ern­ments acknow­ledge the prob­lems inher­ent in con­tin­ued and viol­ent west­ern inter­ven­tion­ism, unless they can accept that the war on ter­ror res­ults in rad­ic­al­isa­tion, “blow­back” and yet more inno­cent deaths, and until they admit that nego­ti­ation is the only viable long-term solu­tion, we are all con­demned to remain trapped in this ghastly cycle of viol­ence. Afghan Pres­id­ent Ham­id Kar­zai, has recently been cri­ti­cised for tak­ing “ghost money” from the CIA and MI6. The sums are inev­it­ably unknown, for the usu­al reas­ons of “nation­al secur­ity”, but are estim­ated to have been tens of mil­lions of dol­lars. While this is nowhere near the eyebleed­ing $12 bil­lion shipped over to Iraq on pal­lets in the wake of the inva­sion a dec­ade ago, it is still a sig­ni­fic­ant amount. And how has this money been spent? Cer­tainly not on social pro­jects or rebuild­ing ini­ti­at­ives. Rather, the report­ing indic­ates, the money has been fun­nelled to Karzai’s cronies as bribes in a cor­rupt attempt to buy influ­ence in the coun­try. None of this sur­prises me. 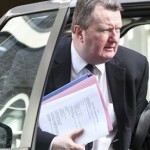 MI6 has a long and ignoble his­tory of try­ing to buy influ­ence in coun­tries of interest. In 1995/96 it fun­ded a “ragtag group of Islam­ic extrem­ists”, headed up by a Liby­an mil­it­ary intel­li­gence officer, in an illeg­al attempt to try to assas­sin­ate Col­on­el Gad­dafi. The attack went wrong and inno­cent people were killed. When this scan­dal was exposed, it caused an out­cry. Yet a mere 15 years later, MI6 and the CIA were back in Libya, provid­ing sup­port to the same “rebels”, who this time suc­ceeded in cap­tur­ing, tor­tur­ing and killing Gad­dafi, while plunging Libya into appar­ently end­less interne­cine war. This time around there was little inter­na­tion­al out­cry, as the world’s media por­trayed this aggress­ive inter­fer­ence in a sov­er­eign state as “human­it­ari­an relief”. And we also see the same in Syr­ia now, as the CIA and MI6 are already provid­ing train­ing and com­mu­nic­a­tions sup­port to the rebels — many of whom, par­tic­u­larly the Al Nusra fac­tion in con­trol of the oil-rich north-east of Syr­ia are in fact allied with Al Qaeda in Iraq. So in some coun­tries the UK and USA use drones to tar­get and murder “mil­it­ants” (plus vil­la­gers, wed­ding parties and oth­er assor­ted inno­cents), while in oth­ers they back ideo­lo­gic­ally sim­il­ar groups. Recently we have also seen the West­ern media mak­ing unveri­fied claims that the Syr­i­an régime is using chem­ic­al weapons against its own people, and our politi­cians leap­ing on these asser­tions as jus­ti­fic­a­tion for openly provid­ing weapons to the insur­gents too. Thank­fully, oth­er reports are now emer­ging that indic­ate it was the rebels them­selves who have been using sar­in gas against the people. This may halt the rush to arms, but not doubt oth­er sup­port will con­tin­ue to be offered by the West to these war crim­in­als. So how is MI6 secretly spend­ing UK tax­pay­ers’ money in Afgh­anistan? Accord­ing to west­ern media report­ing, it is being used to prop up war­lords and cor­rupt offi­cials. This is deeply unpop­u­lar amongst the Afghan people, lead­ing to the danger of increas­ing sup­port for a resur­gent Taliban. There is also a sig­ni­fic­ant over­lap between the cor­rupt polit­ic­al estab­lish­ment and the illeg­al drug trade, up to and includ­ing the president’s late broth­er, Ahmed Wali Kar­zai. So, anoth­er unin­ten­tion­al con­sequence may be that some of this unac­count­able ghost money is prop­ping up the drug trade. Afgh­anistan is the world’s lead­ing pro­du­cer of heroin, and the UN reports that poppy growth has increased dra­mat­ic­ally. Indeed, the UN estim­ates that acre­age under poppy growth in Afgh­anistan has tripled over the last 7 years. The value of the drug trade to the Afghan war­lords is now estim­ated to be in the region of $700 mil­lion per year. You can buy a lot of Kalash­nikovs with that. So on the one hand we have our west­ern gov­ern­ments bank­rupt­ing them­selves to fight the “war on ter­ror”, break­ing inter­na­tion­al laws and mur­der­ing mil­lions of inno­cent people across North Africa, the Middle East, and cent­ral Asia while at the same time shred­ding what remain of our hard-won civil liber­ties at home. On the oth­er hand, we appar­ently have MI6 and the CIA secretly bank­rolling the very people in Afgh­anistan who pro­duce 90% of the world’s heroin. And then, of course, more scarce resources can be spent on fight­ing the failed “war on drugs” and yet anoth­er pre­text is used to shred our civil liber­ties. This is a luc­rat­ive eco­nom­ic mod­el for the bur­geon­ing mil­it­ary-secur­ity com­plex. How­ever, it is a lose-lose scen­ario for the rest of us. Make Wars His­tory talk in Par­lia­ment, April 2013 from Annie Machon on Vimeo. Way back in 2008 Con­ser­vat­ive MP Dami­en Green, who was at the time the Shad­ow Min­is­ter for Immig­ra­tion, was arres­ted on sus­pi­cion of eli­cit­ing leaks from a Home Office civil ser­vant that appeared to con­firm the then Labour gov­ern­ment was cov­er­ing up UK immig­ra­tion fig­ures. When I say arres­ted, this was not the stand­ard, civ­il­ised and pre-arranged appoint­ment at the loc­al nick, which the police tra­di­tion­ally allow their polit­ic­al “mas­ters” or, for that mat­ter, their bud­dies at News Inter­na­tion­al. Oh no, this was a full-on, Cold War-style arrest, car­ried out by the Met­ro­pol­it­an Police Counter-Ter­ror­ism com­mand (known in the old days as Spe­cial Branch). Intriguingly, civil ser­vants appeared to have mis­lead­ingly hyped up the need for a heavy-handed police response by stat­ing that they were “in no doubt that there has been con­sid­er­able dam­age to nation­al secur­ity already as a res­ult of some of these leaks”. And indeed, the res­ult­ing arrests bore all the hall-marks of a nation­al secur­ity case: secret police, dawn raids, and counter-ter­ror­ism style searches of the fam­ily home, the con­stitu­ency office, and — shock — an inva­sion of Green’s office in par­lia­ment. Yet Green was not arres­ted under the terms of the Offi­cial Secrets Act. Instead, both he and his hap­less whis­tleblower, Chris­toph­er Gal­ley, were only seized on sus­pi­cion of breach­ing some arcane Vic­tori­an law (“aid­ing and abet­ting mis­con­duct in pub­lic office”). I sup­pose arrest­ing a sit­ting MP for a breach of the OSA would have been just too polit­ic­ally tricky. Leav­ing aside the under­stand­able upset caused to Green’s wife and chil­dren by the raid on their home, plus the fact that the police viol­ated not only their per­son­al effects such as bed sheets and love let­ters but also con­fid­en­tial leg­al papers about child abuse cases that Mrs Green was work­ing on, what really caused out­rage in the media and polit­ic­al classes was the fact that Plod had dared to invade the hal­lowed ground of par­lia­ment. There was an out­cry from politi­cians about the “encroach­ing police state”. The case was duly dropped, the seni­or officer, Assist­ant Com­mis­sion­er Bob Quick, had to resign (but only after com­mit­ting yet anoth­er polit­ic­al gaffe), and oth­er stor­ies, such as the MP expenses scan­dal, grabbed the atten­tion of the main­stream media. Roll on four years, and Dami­en Green has now ascen­ded to the giddy heights of Home Office Min­is­ter of State for Police and Crim­in­al Justice. Well, meet­ing his new staff must have been an inter­est­ing exper­i­ence for him. But what is this man now doing in his emin­ent role, to stop the slide into the encroach­ing police state that is the UK? Of all people, one would expect him to be sens­it­ive to such issues. Sadly, he appears to have already gone nat­ive on the job. It was repor­ted yes­ter­day that he is pro­pos­ing the use of police drones to spy on the UK pop­u­la­tion, but in an “appro­pri­ate and pro­por­tion­ate” man­ner of course. The concept of small aer­i­al drones being used by UK police has been mooted for a few years now — indeed some police forces and secur­ity agen­cies have already bought them. But where­as the ini­tial, stand­ard jus­ti­fic­a­tion was that it would help in the “war on ter­ror” (as it has so ably done in the Middle East, where inno­cent fam­il­ies are routinely slaughtered in the name of assas­sin­at­ing mil­it­ants), mis­sion-creep has already set in. Dami­en Green stated at the launch of the new Nation­al Police Air Ser­vice (NPAS) that drones could be use­ful mon­it­or­ing protests and traffic viol­a­tions. It has even been repor­ted that the Home Office plans to use non-leth­al weapons to do so. Of course there are prob­lems around the use of drones in UK air­space. Our skies are already very crowded and they could present a haz­ard to air­craft, although the BBC has repor­ted that drones could be air­borne in the next few years. This appears to be the only argu­ment hold­ing the use of drones in check — for­get about civil liber­ties and pri­vacy issues. There is a whole debate to be had about what can be viewed and what can­not — where does the pub­lic sphere end and the private begin? A couple of years ago I sug­ges­ted some­what facetiously that our best hope of defeat­ing the intro­duc­tion of sur­veil­lance drones in the UK might be indig­nant celebs suing the paparazzi for using the tech­no­lo­gies. But per­haps the ante has already been upped in the recent fall-out from the Duch­ess of Cam­bridge and her roy­ally papped breasts. If drone tech­no­logy becomes wide­spread, then nobody will have any pri­vacy any­where. But who knows, before we get to that stage per­haps HM Queen will come out swinging on the side of pri­vacy for her grand­daugh­ter-in-law, if not for the rest of her “sub­jects”. If that were to hap­pen then no doubt Dami­en Green will aban­don his new-found enthu­si­asm for these air­borne sur­veil­lance pests; if not to stop the “encroach­ing police state” of which he must have such col­our­ful recol­lec­tions, then at least to safe­guard any poten­tial knight­hood in his rosy min­is­teri­al future. I have writ­ten over the years about the encroach­ing sur­veil­lance state, the spread of CCTV and the increas­ing use of drones in our skies. When the North East of Eng­land intro­duced talk­ing CCTV cam­er­as that could bark orders at passing ped­es­tri­ans in 2008, I thought that we were fast approach­ing the reduc­tio ad absurdum point — and indeed this sub­ject has raised a wry laugh from audi­ences around the world ever since. Recently I have been read­ing with dis­may a slew of art­icles about the increas­ing cor­por­at­isa­tion of the sur­veil­lance state. First I stumbled across a piece describ­ing Facebook’s latest innov­a­tion, Facedeal: cam­er­as planted in shops and bars that will use the facial recog­ni­tion and tag­ging abil­it­ies of FB to recog­nise you as a val­ued cus­tom­er and offer you a dis­count, simply because you have signed up to this Big Broth­er app on Face­book. Add this to the fact that Face­book is prob­ably, well, an open book for to the entire US secur­ity appar­at­us, and you can see the poten­tial abuse of this sys­tem. We shall effect­ively be bribed to allow ourselves to be spied on. 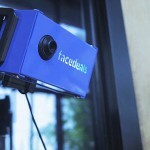 Facedeal is being trialed in the US. Some European coun­tries, most not­ably Ger­many, have already stated that data recog­ni­tion tech­no­logy used even just for photo “tag­ging” is or could be deemed illeg­al. Ger­many spe­cific­ally has reg­u­la­tions that allow Inter­net users con­trol over their data. They are not going to like Facedeal. Secondly, it was repor­ted today that Google had pat­en­ted intel­li­gent image recog­ni­tion tech­no­logy. Com­bine this cap­ab­il­ity with Googles Earth and Street, and we are poten­tially look­ing at a truly pan­op­ticon soci­ety. The Ger­mans are really not going to like that. (Nor indeed will cer­tain of the French, includ­ing the man who earli­er this year tried to sue Google after being pho­to­graphed hav­ing a pee in his own front garden). Thirdly, Boe­ing has tri­umphantly launched the concept of the drone swarm, oper­at­ing with a hive men­tal­ity and upping the cap­ab­il­it­ies of mil­it­ary sur­veil­lance expo­nen­tially, while tak­ing much of the risk out of any oper­a­tion. And finally, the Wikileaks story about Trap­Wire. This first emerged as yet anoth­er bonkers Amer­ic­an scheme, where the foot­age from CCTV street cam­er­as was being main­lined into the secur­ity appar­at­us. Sub­sequently, it has emerged via Wikileaks that Trap­wire is also being used in oth­er west­ern coun­tries, includ­ing the UK. Not only can the securo­crats watch you, they too are installing face recog­ni­tion soft­ware that can identi­fy you. While this may not yet be as accur­ate as the spies might wish, Trap­Wire has also installed pre­dict­ive soft­ware that appar­ently can assess wheth­er you are act­ing, loiter­ing or walk­ing in a sus­pi­cious man­ner. So you could pre-empt­ively be assessed to be about to com­mit a crime or an act of ter­ror­ism and, no doubt, appro­pri­ately and pre-empt­ively “dealt with”. All of which must be so reas­sur­ing to protest groups such as Occupy, which have been sub­ject to massive CCTV sur­veil­lance in NYC and which have been labelled a “terrorist/extremist threat” in the City of Lon­don. At the risk of sound­ing alarm­ist, we now all know what “being dealt with” in this era of anti-act­iv­ist SWAT teams, drone strikes and kill lists can poten­tially entail. So where does this leave us as con­cerned cit­izens? It strikes me that we are being cata­pul­ted into some sci-fi dysto­pia bey­ond even Orwell’s wild­est ima­gin­ings. Any fan of mod­ern thrillers and sci-fi will be famil­i­ar with the concept of integ­rated super-com­puters that can watch our every move via CCTV. The lat­ter is what Trap­Wire et al are work­ing towards. These new tech­no­lo­gies remind me of a story line from a won­der­ful series of books called the The Laun­dry Files by Charles Stross. These nov­els are a per­fect of mer­ging of Len Deighton’s lac­on­ic spy fic­tion, à la Harry Palmer, with the geek uni­verse and bey­ond. And, at the risk of a spoil­er, one of the story lines envis­ages a cent­ral­ised and weapon­ised CCTV sys­tem, main­lin­ing into the secret ser­vices, that can be turned on UK cit­izens if the bal­loon goes up. 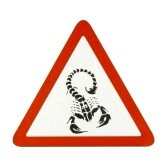 This sys­tem is code­named the “Scor­pi­on Stare”. Sounds far-fetched? Well The Laun­dry Files are a rol­lick­ing good read, but do bear in mind not only that our CCTV sys­tems may be cent­ral­ised cour­tesy of Trap­Wire, but also that vari­ous law enforce­ment agen­cies in the UK are using micro-drones to spy on pro­test­ers, and that they have reportedly enquired if these drones could be weapon­ised.…. So it all depends on how you define the bal­loon, I sup­pose. I speak reg­u­larly at inter­na­tion­al events about basic freedoms, civil liber­ties and encroach­ing police states, and this is one of the most fre­quently asked ques­tions. This ques­tion is usu­ally posed in the con­text of the ubi­quit­ous CCTV cam­er­as that infest the streets of Bri­tain, where it is estim­ated that you can be pho­to­graphed hun­dreds of times a day going about your daily busi­ness in Lon­don. Not to men­tion the talk­ing CCTV cam­er­as in the North of Eng­land, nor the increas­ing use of spy drones (as yet, reportedly, unweapon­ised — at least leth­ally) over the skies of Bri­tain. Nor the fact that the police officers in charge of CCTV units admit that the tech­no­logy is only use­ful as evid­ence in 3% of cases, and that viol­ent crime has actu­ally gone up since the spread of CCTV, so we’re cer­tainly no safer on our streets. Nor do the well-mean­ing people ask­ing this ques­tion (who, one pre­sumes, have nev­er-ever done any­thing wrong in their lives, even to the extent of not drop­ping lit­ter) seem to grasp the his­tor­ic­al evid­ence: they retain an optim­ist­ic faith in the long-term benign inten­tions of our gov­ern­ments. But we also need to learn more recent les­sons: the UK in the 1970s-1990s, where the Irish com­munity as a whole was tar­geted because of fringe Repub­lic­an ter­ror­ism; or the Muslim com­munity post-9/11, which lives with the real fear of of being arres­ted, extraordin­ar­ily rendered, tor­tured, or even assas­sin­ated on the say-so of unac­count­able intel­li­gence agen­cies; or even peace­ful protest groups in the USA and UK who are infilt­rated and aggress­ively invest­ig­ated by Stasi-like police officers. The Uni­ver­sal Declar­a­tion of Human Rights was put in place for a very good reas­on in 1948: to pre­vent the hor­rors of state ter­ror­ism, viol­ence and gen­o­cide from ever hap­pen­ing again. Amongst the essen­tial, inter­na­tion­ally-agreed core prin­ciples are the right to life, the right not to be tor­tured, free­dom of expres­sion, and the right to indi­vidu­al pri­vacy. Which brings me neatly back to the start of this art­icle. This is pre­cisely why increas­ing state sur­veil­lance is a prob­lem. Because of the post-9/11, over-inflated, hyped-up threat from soi-dis­ant ter­ror­ist groups, we are all being pen­al­ised. The bal­ance of power is shift­ing over­whelm­ingly in favour of the Big Broth­er state. Well, almost. 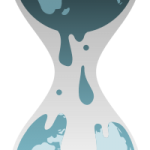 The Wikileaks mod­el is help­ing to level the play­ing field, and whatever hap­pens to this trail-blaz­ing organ­isa­tion, the prin­ciples and tech­no­logy are out there and will be rep­lic­ated. The genie can­not be put back in the bottle. So, why not pose the very ques­tion in the title of this piece back on those who want to turn back the clock and erad­ic­ate Wikileaks — the gov­ern­ments, mega-cor­por­a­tions, and intel­li­gence agen­cies which have been outed, shamed and embar­rassed, and which are now try­ing to sup­press its work? If you’ve done noth­ing wrong, you have noth­ing to hide.…. OK, so I’m not sure if my concept of Bleats (half blog, half tweet) is being grasped whole­heartedly. But so what — it makes me laugh and the Black Sheep shall perservere with a short blog post.…. But do his Amer­ic­an best bud­dies share that, umm, humane view? First of all they have the CIA assas­sin­a­tion list which includes the names of US cit­izens (ie its own people); then those same “best bud­dies” may well resort to assas­sin­at­ing Wikileaks’s Juli­an Assange, prob­ably the most high pro­file dis­sid­ent in inter­na­tion­al and dip­lo­mat­ic circles at the moment; plus they are already waging remote drone war­fare on many hap­less Middle East­ern coun­tries — Yeman, Afgh­anistan, Pakistan.…. Oh, and now the UK gov­ern­ment seems poised to launch cov­ert spy drones into the skies of Bri­tain. Even the UK’s most right-wing main­stream news­pa­pers, the Daily Tele­graph and the Daily Mail, expressed con­cern about this today. Appar­ently these drones have yet to be weapon­ised.…. It’s a slip­pery slope down to an Orwellian night­mare. Spy drones coming soon to a place near you. For a long time now I have been giv­ing speak­ing out at con­fer­ences and in inter­views around the world about the encroach­ing nature of our sur­veil­lance states. 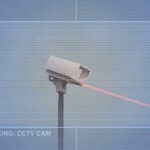 One aspect of this, the endem­ic CCTV cov­er­age in the UK, is notori­ous inter­na­tion­ally. Not only the estim­ated 4 mil­lion+ pub­lic CCTV cam­er­as on Brit­ish streets, but also all the traffic cam­er­as and private secur­ity cam­er­as that sneak a peak onto our pub­lic spaces too. As if that were not enough, earli­er this year it was also repor­ted that loc­al coun­cils are invest­ing in mobile CCTV smart spy cars too. Addi­tion­ally, of course, we had the issue of Google Street View invad­ing our pri­vacy, and the cam­era cars also just happened to coin­cid­ent­ally hoover up the private inter­net traffic of those too trust­ing to lock their wire­less inter­net access. Unlike the UK, the Ger­mans have thank­fully said a robust “nein” to Google’s plan. All this, as I’ve pre­vi­ously noted, des­pite the fact that the head of the Met­ro­pol­it­an Police depart­ment respons­ible for pro­cessing all this sur­veil­lance inform­a­tion went on the record to say that CCTV evid­ence is use­less in help­ing to solve all but 3% of crimes, and those merely minor. In fact, since CCTV has been rolled out nation­ally, viol­ent crime on the streets of Bri­tain has not notice­ably reduced. But, hey, who cares about facts when secur­ity is Big Busi­ness? Someone, some­where, is get­ting very rich by rolling out ever more Orwellian sur­veil­lance tech­no­logy. On the streets of Bri­tain, it is get­ting pro­gress­ively worse. Audi­ences across Europe and North Amer­ica have respon­ded with shocked laughter when I have men­tioned that police tri­als had been con­duc­ted in the UK using talk­ing CCTV cam­er­as that barked orders at appar­ent trans­gressors. In 2007 Middles­brough, a town in the north east of the UK with a zero-tol­er­ance policy, began a tri­al using these talk­ing cam­er­as. In line with a gov­ern­ment review of civil liber­ties this year, it was repor­ted over the sum­mer that the use of these cam­er­as might be phased out. Need­less to say, the coun­cil is fight­ing a fierce rear­guard action against the remov­al of talk­ing CCTV — an obvi­ous example of the inher­ent dif­fi­culty of try­ing to wrest estab­lished power from the author­it­ies. How­ever, Wired has repor­ted that “non-leth­al” weapons could be installed, to facil­it­ate crowd con­trol. There is also the oth­er side of the secur­ity coin to con­sider, of course. If these drones are imple­men­ted in the skies of Bri­tain, how soon before some enter­pris­ing young “Al Qaeda” cadre cot­tons on to the idea that this could be an effect­ive way to launch an attack? So much for all our won­der­fully effect­ive air­port secur­ity meas­ures. 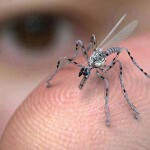 Plus, these little air­borne pests will prove to be a real haz­ard for oth­er air­craft, as has already been noted. Des­pite all this, no wide­spread indig­na­tion has been voiced by the UK pop­u­la­tion. When will the tip­ping point be reached about this incip­i­ent Orwellian night­mare? But hope may be at hand. A some­what frivol­ous art­icle appeared today, stat­ing that small spy drones will become the new paparazzi: Ver­sion 2.0, no doubt. Per­haps, finally, we shall now see some mean­ing­ful oppos­i­tion to this encroach­ing Big Broth­er state. Once Bono, Sting, Saint Bob and the assembled celeb corps get on their high horses about their enshrined, fun­da­ment­al right to pri­vacy, it might finally become fash­ion­able to dis­cuss the very basic prin­ciples under­pin­ning our civil­isa­tion.…. .…you remem­ber, those fuddy-duddy ideas like the right to life, not to be tor­tured, not to be unlaw­fully imprisoned or kid­napped, free speech, fair tri­als, free con­science etc .…. oh, and pri­vacy of course!